Duluth pioneer Sidney Luce (pronounced “loose”) was born in Kingsville, Ohio, on September 19, 1819. Kingsville is a short distant from Ashtabula, from which many of Duluth’s early settlers hailed. He spent most of his early life in Kingsville before taking a job with the county auditor’s office in Jefferson, Ohio. There he met and married Harriet A. Wood, a native of Troy, New York. They had one daughter, Katie. In 1857 (some reports say 1856), along with his brother Orlando, Luce moved his family to Superior and soon after to what would become Portland Township, where he served as the registrar of the United States Land Office, then located up the shore at Buchanan near Stoney Point. When the Land Office was removed to Duluth Township, Luce built a warehouse at the foot of Third Avenue East along the lake shore, where the townships of Duluth and Portland met. It was Duluth’s first commercial building. Luce’s warehouse stood three-stories tall, with half its foundation carved into rock on one side and the other perched atop cribbing submerged in the lake on the other. The Luce family lived on the top floor. Although it produced a wide range of beers (including a cream ale, a stock ale, and a wheat ale) the Luce/Busch Brewery itself barely survived Duluth’s tough economy of the 1860s. In 1865, Luce sold the brewery to Nicholas Decker. Decker died in 1875, and two years later his family leased the brewery to Michael Fink. In 1882 Fink hired August Fitger to run his brewery; less than half a year later Fitger and his partner Percy Anneke bought the Brewery from Fink and changed the name of the Decker Brewery to A. Fitger & Co. Lake Superior Brewery. During this period Luce continued to work for the Land Office and also served the local municipal government as both a counselor and president (several times). He also passed the time building what the Minnesotian deemed “excellent” rowboats. In 1868 Luce attended a meeting with Duluth’s great financier, Jay Cooke, on the only trip the Philadelphia banker ever made to the city he helped build. Luce and several fellow Duluth pioneers, including J. D. Ray, Luke Marvin, W. R. Nettleton, C. Markell, J. R. Carey, and J. B. Culver, met Cooke at the residence of Commodore Saxton before moving the business meeting to the United States land office, which had been relocated from Luce’s warehouse. When Cooke’s Lake Superior & Mississippi arrived in Duluth in 1870, Luce’s warehouse became railroad property and he and his family moved to Minnesota Point in what is today’s Canal Park Business District (the railroad abandoned the building in 1871, after which newspapers report it was occupied by “half-breed Indians” before it was demolished in 1875). 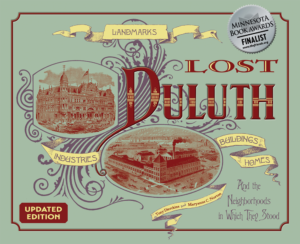 That same year Duluth became a city, and Luce continued to aid in its development. He and J. D. Ray helped finance Branch’s Hall, the first brick building in Duluth. Luce wasn’t gone for long. 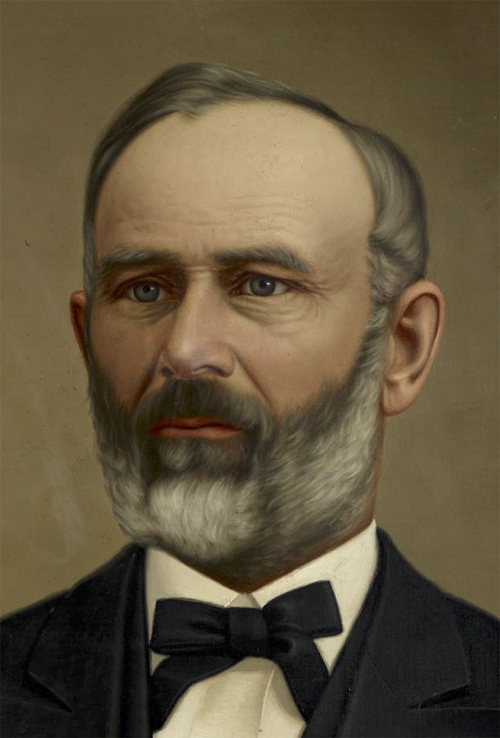 He returned to take the reins of Duluth’s First National Bank, which was struggling along with the rest of the nation in the aftermath of the Panic of 1873. When the bank failed in 1876, he returned to Kingsville, where he took up residence on the farm he was born on and remained there the rest of his life, reportedly only visiting Duluth once more.